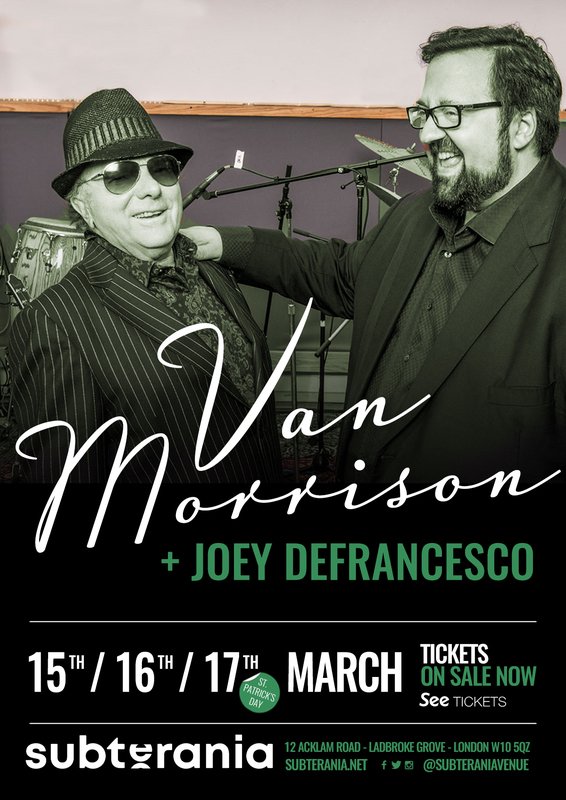 Van Morrison and very special guest Joey Defranceso will be returning to Subterania for three nights – 15th, 16th and 17th March. Van Morrison, or known affectionately to his fans as Van The Man, has been performing professionally since his childhood, and rose to fame as a young teenager who was revered for his multi-instrumental skills. Starting out his solo carer as the front man of the Irish R&B band Them, they recorded the classic track Gloria, before Morrison broke away from the group to pursue his solo career. The single Brown Eyed Girl was Morrison’s first hit single, and immediately he found himself surrounded by fans. Since then, he has achieved an astounding amount of recognition and awards, including several Grammy Awards, and the Brit Award for Outstanding Contribution to Music. Over the years, Van Morrison hasn’t slowed in his performances, and up until the mid 00s, he was performing regularly, often twice or three times every week. In 2012, he released his 34th studio album “Born to Sing: No Plan B” with Blue Note records and received much critical acclaim. As well as his musical creations, Morrison is an incredible lyricist, and a selection of his work from over the last 50 years was published into a book entitled “Lit Up Inside”. 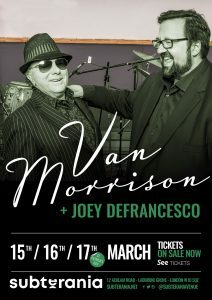 Still performing at prestigious and personal events, Van Morrison is an incredibly talented musician who has had colossal success over his career. Joey DeFrancesco‘s emergence in the 1980s marked the onset of a musical renaissance. Organ jazz had all but gone into hibernation from the mid-’70s to the mid-’80s until DeFrancesco reignited the flame with his vintage Hammond organ and Leslie speaker cabinet. The son of “Papa” John DeFrancesco, an organist himself, the younger DeFrancesco remembers playing as early as four-years-old. Soon after, his father began bringing him to gigs in Philadelphia, sitting in with legendary players like Hank Mobley and Philly Joe Jones, who quickly recognized his talent and enthusiasm. With a natural gift for music, DeFrancesco also swiftly picked up on the trumpet after a touring stint with Miles Davis as one of the two youngest players ever recruited for any of Davis’ ensembles. 2018 sees DeFrancesco touring in support of his Grammy nominated record, Project Freedom, as well as select concert dates celebrating the collaborative recording with iconic recording artist Van Morrison, titled You’re Driving Me Crazy.